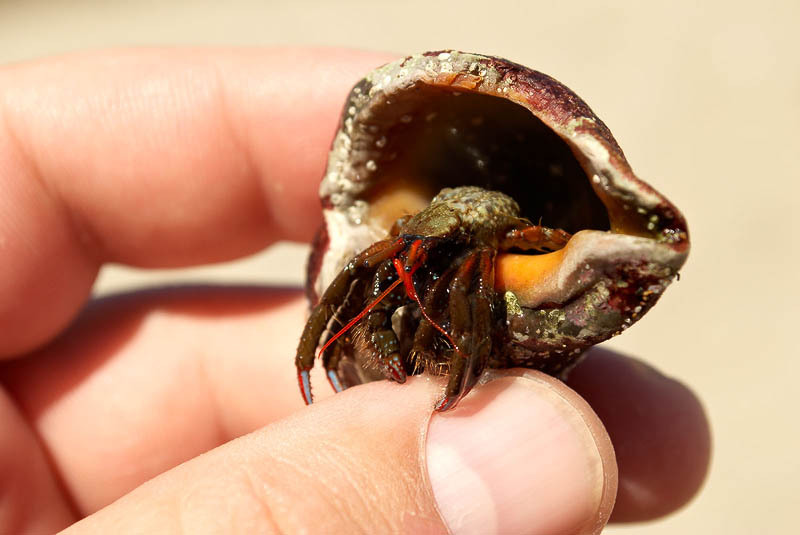 Winkle shell with little sea crab in fingers of man. Marine animal. Wildlife of sea.